Some road cases are named after their application. Examples of these include: audio/visual cases (monitor cases, plasma TV/display cases, LED TV/display cases, lighting cases, LCD cases, mixer cases, speaker cabinet cases, tripod cases, etc. ), trade show cases, music cases (DJ cases, guitar cases, bass cases, pedalboard cases, amp cases, drum cases, microphone cases, band/orchestra instrument cases, etc. ), utility cases (trunk cases, wardrobe cases, etc. ), laptop cases, art portfolio cases and sporting equipment cases. Another road case type is the rack case. Rack cases are designed to work with equipment that needs to be set up and physically supported in a wide range of environments. Examples of rack cases include: EMI/RFI rack cases, EMP rack cases, GSE rack cases, circuit electronics rack cases, instrument rack cases, server rack cases, lab equipment rack cases, military rack cases and offshore rack cases. Manufacturers usually make road cases by injection molding or rotational molding of polyethylene or polypropylene plastic. They also often choose to construct the cases from two layer panels adhered together. For example, many feature an inner layer of light plywood and an outer layer of ABS. The inside of a road case is usually lined with a polymer foam molded in the exact shape of its contents. The foam is meant to cushion and protect the sensitive products to go inside the case. Manufacturers often finish off their create by stamping sheet steel corners. 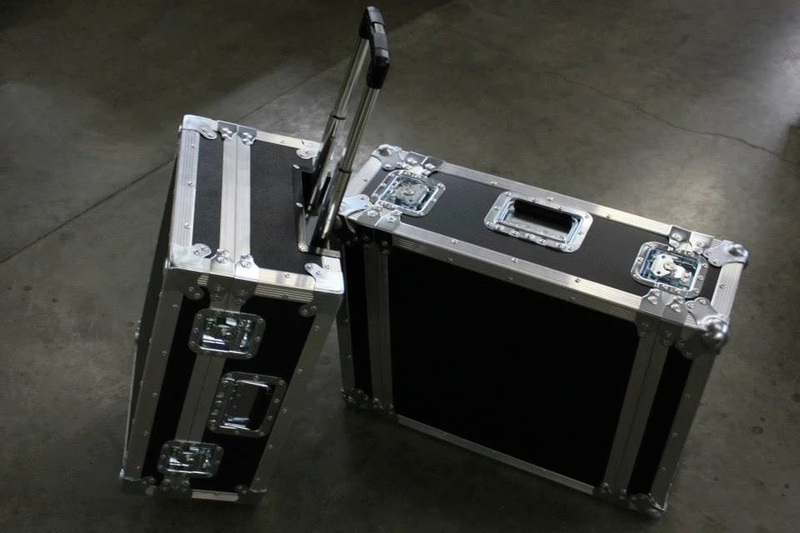 To make a road case that works for you, manufacturers offer many customization options. First, they can make them in virtually any size. Second, they may pick lightweight materials for easier toting. They can also add a wide variety of accessories, such as: locking mechanisms of different kinds, casters for mobilization, power adaptors, telescoping handles or even foldable legs that convert the case into a table. They can also add custom lettering. Road Cases Road cases are a type of carrying case used to protect sensitive equipment or instruments as you carry them in transit. They are an indispensible investment for anyone who values their equipment or instrument. 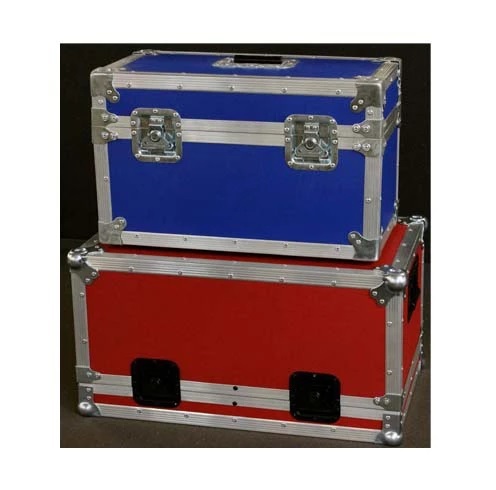 Road cases are also commonly known as flight cases or ATA cases.